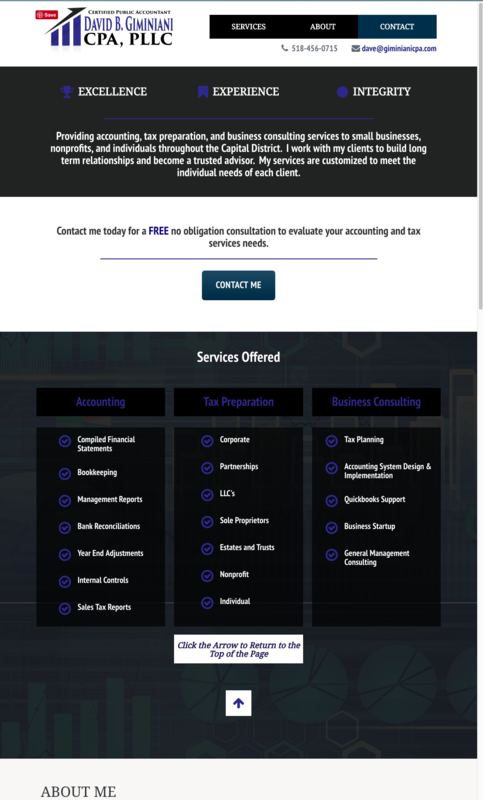 We have recently completed a website redesign and logo design for David B. Giminiani CPA, PLLC based in Guilderland, NY. This web design was developed as a single page concept with a conservative, professional look. The overall design features dark colors contrasted with white space. The content is simple and there is a clear call to action.